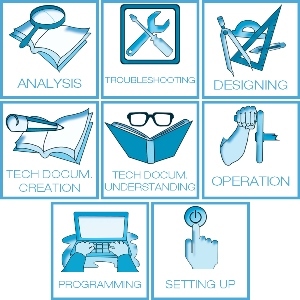 The training system has been developed by an expert team of engineers and pedagogues to enhance professional skills. IPC-200 is built entirely from industrial materials so that student works with the same elements found in the working environment. IPC-200 is composed of three stations each of which carries out one part of the process. The first station simulates the production phase by processing liquid. There are two versions: the first concentrates on digital control elements (IPC-201) and the other is directed towards the regulation and control of analogue variables (IPC-201C). 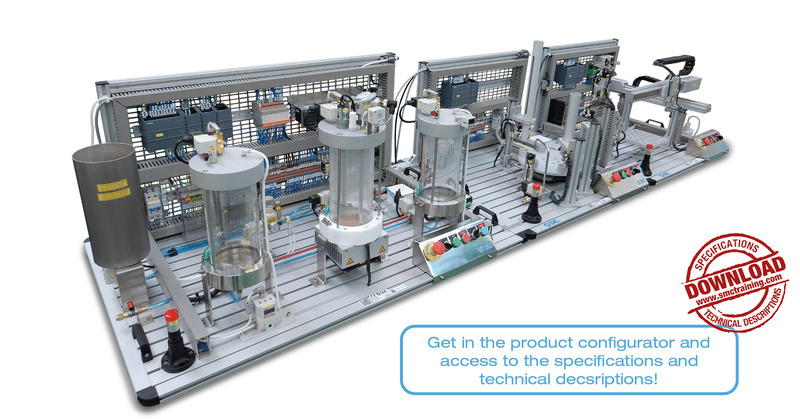 Common element in all stations: Power supply, air treatment unit, indication light, anodised aluminium structure, control keypad, solenoid valve block, labels for cables, electric connection terminals, thermal Trip, unit for communication bus, control PLC* and User manual and practice manual. 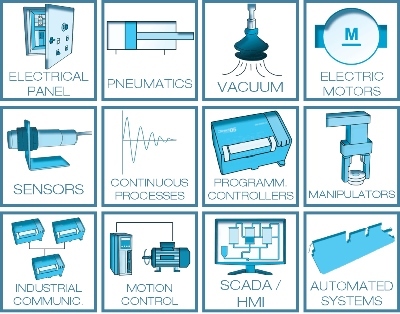 *Options: PLC Omron, Allen Bradley, Mitsubishi, Siemens, Schneider or without PLC.